Tablet Splitting: When Is It OK? Tablet splitting is a common practice in the clinical setting, particularly with geriatric and psychiatric patient populations. This practice gives clinicians the ability to better tailor drug regimens while also providing potential cost-savings to the patient. However, tablet splitting may not always result in weight-uniform half tablets which may result in inaccurate dosing. This could put a patient at significant risk, especially with drugs that have a narrow therapeutic index. In a new study published in the Journal of Managed Care and Specialty Pharmacy, researchers selected 10 tablets for 16 commonly prescribed medications (bromazepam 3mg [U.K.], mirtazapine 30mg, oxcarbazepine 150mg, sertraline 50mg, amiodarone HCl 200mg, bisoprolol fumarate 10mg, carvedilol 25mg, digoxin 0.25mg, losartan 50mg, glimepiride 4mg, metformin HCl 1000mg, montelukast 10mg, celecoxib 200mg, ibuprofen 600mg, meloxicam 15mg, and sildenafil citrate 50mg) and had participants split the tablets using a knife (81.25% were scored tablets; 18.75% were unscored). The half tablets were then weighed and drug content uniformity was evaluated using USP specifications. 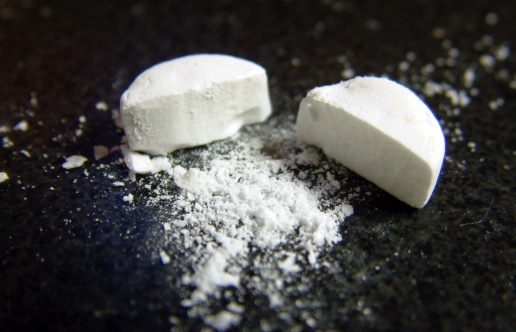 In this study, the weight and drug content of a half tablet was considered to be equal to half the mean weight and drug content for all whole tablets in the sample. A total of 52 out of 320 (16.2%) half tablets did not meet USP specification for weight uniformity and 48 out of 320 (15%) half tablets did not meet USP specifications for content uniformity. The half tablets for bisoprolol, bromazepam, carvedilol, digoxin, losartan, and meloxicam failed the weight and content uniformity test, with bromazepam, carvedilol and digoxin showing the greatest powdering loss during the splitting process; the half tablets for the other study drugs passed the test. Does the patient have physical/cognitive difficulties? Are too many tablets being split? Is tablet splitting making the regimen more complicated? Close more info about Tablet Splitting: When Is It OK?